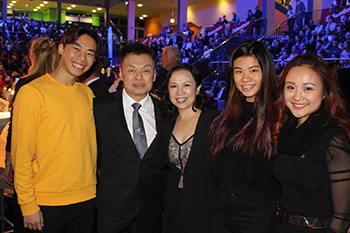 After 21 years of service in various appointments - from Presidium member, to General Secretary, and to First Vice-President and CEO of the WDSF, Mr. Shawn Tay was officially inaugurated as President of the WDSF on 17.11.2018 at the Austrian Open Championships in Vienna, Austria. 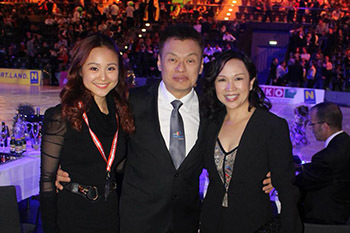 In his speech, Mr. Tay spoke about his vision of bringing about innovative changes that will make the DanceSport discipline games-ready for the IOC, as well as improvements for athletes via better competitions and effective competition formats. He also thanked the Presidium, his family, and all those who have supported him as he accepted this great honour. The 21st SGDF Singapore National DanceSport Championships will be held on Saturday 16 March 2019. The event will be held at the National University of Singapore Society. Tickets will be available from the SGDF soon. The Entry Form (V1.3) available for download. (ie 1 Apr 2019 - 31 Mar 2020) by 16 February 2019. The following events have been nominated to be SGDF National Ranking Events. All SGDF athletes are recommended to participate in order to accumulate ranking points.